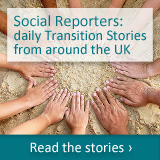 Transition is all about people and communities responding to issues that affect them in order to mitigate their effects. The first step down this path is obviously to be aware of the issues that are relevant, just because our politicians choose to politely ignore the inconvenient it does not mean it is not there. Not much needs to be said about this really as it has had a great deal of coverage but in part to vested interests clouding the science it really has become a polemic issue and you either give this subject credence or you don’t. We are taught in school that fossil fuels are finite, in that the world has so much of this resource created over millennia and when its gone its gone. The modern world has been built on the promise of never ending and ever increasing availability of this precious resource, namely the black ‘liquid gold’ known as oil. ‘Peak Oil’ is the concept that each oil field discovered has a production curve starting from discovery, prospecting, full scale production and finally the economic end of production when too much energy is needed to extract the oil to be economically viable. Sum up all of the oil wells in production and development and you can create a curve to represent worldwide production… we are at the top of this curve, where do we go now? M. King Hubbert created and first used the models behind peak oil in 1956 to accurately predict that United States oil production would peak between 1965 and 1970 and was pilloried by his peers who claimed that the US oil reserves would never run out. In actual fact his theory was borne out with US production peaking in 1970, the worlds largest oil producing nation of the time is very much a net importer now. His logistic model, now called Hubbert peak theory, and its variants have described with reasonable accuracy the peak and decline of production from oil wells, fields, regions, and countries, and has also proved useful in other limited-resource production-domains. According to the Hubbert model, the production rate of a limited resource will follow a roughly symmetrical logistic distribution curve (sometimes incorrectly compared to a bell-shaped curve) based on the limits of exploitability and market pressures. Various modified versions of his original logistic model are used, using more complex functions to allow for real world factors. Most experts agree that we currently sit at the top of this peak with dates ranging from now to 2015 for its expected impact date. Why debit, how does this affect my sustainability. Debit affects us all from the Richest to the poorest even if we personally are not in debit. Debit drives our economy and its need to expand to pay off interest on DEBIT both personal, corporate and national which we hear a lot about these days. Governments are relying upon growth in our economy to service their debit and we need to earn to service our own debit. Have we passed the point where there can be any such thing as sustainable growth when our footprint on this planet is so large already and our way of life so heavily subsidised by cheap oil. Rule number one, get out of debit! Here are a couple of films that aim to clarify the subject a little. As bad as it looks for the UK remember all Owings on PFI contracts are not included in government debit figures. Why every town needs a wind farm. The UK energy situation is looking a little precarious. Remember above we talked about ‘Peak Oil’ well in 1999 North sea oil and gas peaked and in 2008 production dropped by 11% despite record investment and record amounts of drilling. The net result is that now that 36% of UK domestic energy production is Natural gas we have to look to the external markets to buy more and each year. New EU legislation European Large Combustion Plant Directive (directive 2001/80/EC). is leading to the closure of our largest coal powered power stations (Currently 37.5%) just as we are decommissioning our aged network of nuclear power stations (Currently 18%) which means the UK is heading to an Energy supply deficit otherwise refered to as an Energy Gap, we already import energy from the French reactors across the channel (Currently 2%). The government has optimistically hung its hopes on 25 new reactors to be built by private companies but with 150 new reactors planned worldwide and only a couple of manufacturers of reactor vessels it is doubtful that these will be completed within the next 15 years. This obviously leads on to the subject or ‘Peak Uranium’ but that is another subject. The Net result is that the UK will have to import more and more of its energy with one estimate being £200 billion by 2020. With the UK’s trade deficit so large and with reduced income from the banking sector it is doubtful that the UK will be able to afford this. 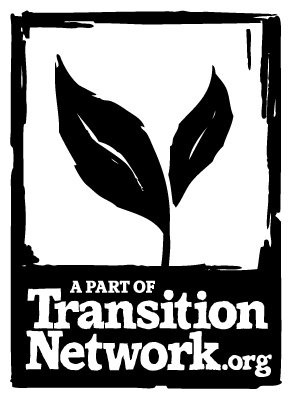 This article reflects the opinion of its author Darren Woodiwiss and does not necessarily reflect the official position of the Transition Network.